What would happen if you got a representative sample of the UK online to talk about the EU referendum? What would they say? What would the arguments be? Which side would be more convincing? Ronny Razin and his research team used the online platform Voxter to analyse discussion data using statistical demographic analysis. They found striking differences between women and men and between different age groups, and a swerve to Leave among participants. The algorithm identifies statements that have more traction in the population. Statistical inference. The algorithm randomly assigns statements to people to make statistical inference viable. The discussion involved 872 people who made 1,001 comments.Our field research took place on 22-23 February. 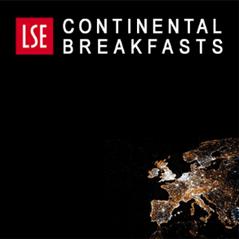 The data generated from this research provides us with a unique insight into the psyche of UK voters and how we think and talk about the EU. In any discussion, not everyone is active and to appreciate what is going on it is important to know how representative is the content that we actually hear. So as a first step, even before seeing what people said, we decided to have a look at how vocal different groups in the UK are. We measured voice by the average number of statements that each demographic group contributed to the discussion. Men were 40% more vocal in our EU debate. Recent research from think-tank British Future has discussed some interesting differences between the way men and women approach the referendum, and in our next report we will focus more on them. But given these differences, we should be worried that women’s voices might not be equally represented in the debate. What about the generational divide? The polls all agree that age is a major predictor of voting intentions about the EU: over-55s are pro-Leave, while the young are substantially more pro-Remain. But are these different groups equally represented in the debate? 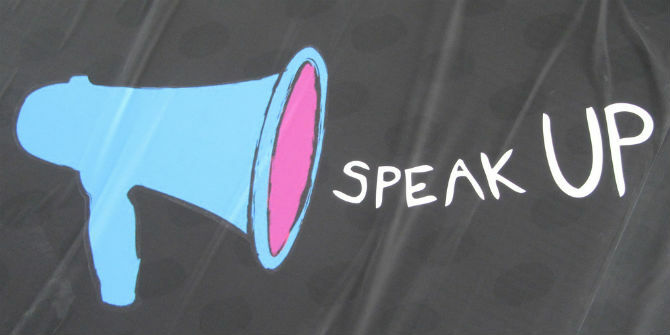 Usually it is the young ones who make the most noise, but our research shows that over-55s were almost three times more vocal than 18-34 year-olds, and 35-54 year-olds were almost twice as vocal as the younger group. But a more direct question might be about the political camps. Those supporting Leave were 40% more vocal than those in favour of Remain. Ukip supporters are the most vocal, followed by Conservatives, with Labour being the least vocal. How did the overall discussion influence how people will vote? To this end, we asked people at the start and end of the discussion whether they would vote to definitely remain in the EU, probably remain, don’t know, probably leave, or definitely leave. As you can see, our sample are broadly more in favour of remaining in the EU, but over half (52%) are not definite in their intentions. We can see the effect of the discussion on people’s voting intentions: 17.9% changed their minds. 122 people gave a different answer at the end from the beginning. This suggests that as well as being undecided, people’s opinions are relatively easily swayed. Overall there was a swing towards the leave: 67% of those who changed their minds moved towards the Leave camp, only 33% moved towards Remain. This indicates that exposure to the broad selection of arguments we encountered had a tangible effect. 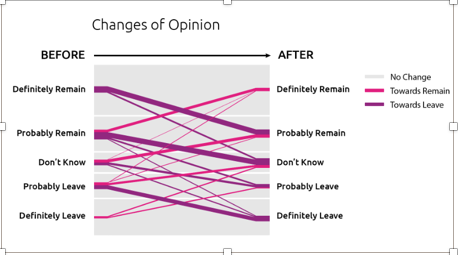 The flow of changes indicates that that definite Leavers were much less likely to change their views, and there was a definite shift towards leaving. Women were 33% more likely to change opinion, and 18-35s were twice as likely to change their minds compared with over-55s. The less knowledgeable were more likely to change their minds, and those who started off saying ‘Probably Remain’ were most likely to change their minds (24.9%). 31.1% of those who changed their minds, changed to ‘Don’t know’. The Brexit debate has some built-in biases: voice is not equal. Groups that are more favourable to the Leave campaign tend to be more vocal, taking a more active role in the debate. 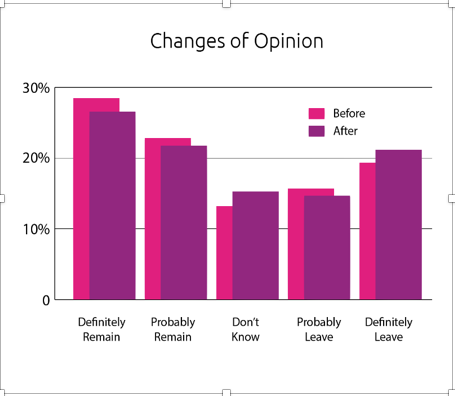 Our data suggests that this extra voice affects choice – that in a free-flowing debate, there is more migration in people’s opinions towards the leave camp. Ronny Razin is Professor of Economics at the LSE and co-director of the STICERD Theory Group Programme. Sorry, but I’m struggling to see how Voxter could present a representative sample of the electorate. Isn’t what we have here a nice set stats about people who have self-selected into a discussion group? The participants in this study were invited in the same way that many polls are. Emails are sent to many potential participants using a system that ensures a representative sample. 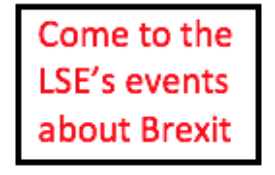 Participants are not told beforehand what they will be discussing and are rerwarded for their participation (as is done by many pollsters including Yougov). I would add that the aim of this research is not as narrow as just trying to predict the outcome, so we are less worried about exact representation. By then looking at who particpated more than another, who wrote more statements than another, we can actually tease out of the data such selection issues and get a better picture of the kinds of biases in this debate. Why are those who voted remain calling for second referendum when we have already voted leave and won ? The only reason we have made no progress on Brexit is the majority of MP s from all sides are remainers and they have no regard for the people who voted leave and our democracy. I think those of us that voted to leave should stand up , demand we leave with no deal after all that’s what we voted for wto is fine with me !